Tanya Pankz | Rockwall Rocks! The vice president of the Rockwall ISD PTA Council agreed today to begin working on scheduling Lillian Smith Foundation “Dating Violence Dangers” presentations for parents at each of Rockwall ISD’s three high schools, two middle schools and twelve elementary schools, in a meeting with Foundation leaders J.J. Smith and Tanya Pankz. Denise Smith, who is currently the director of programs for the Rockwall ISD PTA (Parent-Teachers Association), as well as the PTA president at J.W. Williams Middle School, told Tanya and J.J. that she will immediately schedule a 45-minute presentation at Williams, Nov. 19. Next, she said she will contact the other RISD school PTA leaders, plus the Texas state PTA Council, in hopes of arranging even more presentations statewide. Denise said she had already heard so many good things about Tanya’s presentation from RISD officials that she agreed it’s a story that parents need and will want to hear. After listening to Tanya tell the story about the murder of her daughter, she said she was even more convinced of the importance of this message. Tanya’s daughter, Jennifer Pankz, was murdered in 2002 by a boy she was trying to stop dating at UNT after graduating from Rockwall High School in 2001. 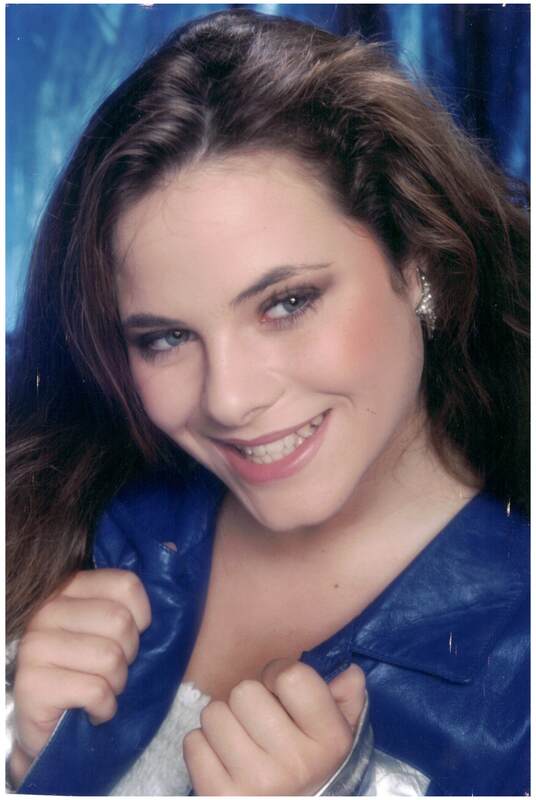 Jennifer was also tormented by another boy whom she dated in high school when he became violent, which required the intervention of Tanya and her husband Brian Pankz. According to a 2006 survey of 16 to 24-year-olds by the Texas Council On Family Violence, 75 percent of that age group has either been personally involved in dating violence or know someone who has. At least 50 percent of those interviewed also admitted to being personally involved in dating violence. For more Rockwall County News, please visit our website news/magazine at www.rockwallrocks.com. I just discovered this interesting comment about Tanya Pankz written by crime reporter Tanya Eiserer on the Dallas Morning News Crime Blog, after they met each other at a recent conference hosted by the Texas Council On Family Violence. The mother of murdered 2001 Rockwall High School graduate Jennifer Pankz will speak to the community about the dangers of dating violence, Oct. 29, 7 pm, at Rockwall ISD’s ADministration Building, room 600, 1050 Williams St/Hwy 66 (next to Helping Hands). Rowlett resident Tanya Pankz, the former branch manager of all three First Convenience Bank locations in Rockwall, will join family violence survivor and Rockwall resident J.J. Smith, plus a law enforcement officer to speak, in hopes of preventing further injuries or deaths from occuring among local teens. Seventy-five percent of teens have either personally experienced dating violence or know someone who has, according to a recent study by the Texas Council On Family Violence. The presentation is also an effort to recruit volunteers to join the new Rockwall County Coalition Against Family Violence, initially organized by Smith, founder of the Lillian Smith Family Violence Foundation. “Jen,” the daughter of Brian and Tanya Pankz of Rowlett, was murdered Dec. 27, 2002, by a boy whom she had been dating at the University of North Texas (UNT), after she told him she didn’t want to continue dating anymore because she had just learned that he was taking steroids. She had just completed her first semester in college. The killer pleaded guilty and was sentenced to 45 years in prison, although he becomes eligible for parole after 22.5 years. For more information, contact J.J. Smith, either by phone at 214-256-4071 or email jj@lilliansmith.org. The mother of murdered 2001 Rockwall High School graduate Jennifer Pankz spoke this morning about “Dating Violence Dangers” to about 25 community leaders and volunteers gathered at Presbyterian Hospital of Rockwall for a meeting of the Rockwall County Coalition Against Family Violence. Her mother, Rowlett resident and former First Convenience Bank of Rockwall manager Tanya Pankz, told the audience that Jennifer was killed Dec. 27, 2002, by a boy she had been dating at the University of North Texas, where she had only been a student for one semester. She explained that when Jennifer tried to break up with the boy and leave the apartment – after she learned that he was taking steroids – he grabbed her in a headlock, broke her neck and then stabbed her several times. The Denton County coroner later confirmed that she died instantly when he broke her neck. The murderer, Stephen Chartier, is now serving a 45-year prison sentence for murder, although he did escape a life sentence when he plea bargained and admitted his guilt. Consequently, he will be eligible for parole after 22.5 years. Pankz also showed a Fox 4 news video reporting about her daughter’s murder, in which she and her husband explained how devastating it has been to family and friends. Five of her friends from high school were also in attendance, and have volunteered to speak out about the dangers of dating violence, as well. The still-grieving mother said she’ll never forget Jennifer’s last words to her on the phone, ironically asking whether the body of domestic violence victim Lacy Peterson had been found. Lacy’s husband, Scott Peterson, was later convicted of her murder. She explained that she still does not understand why Jennifer was involved with not just one but two abusive, controlling males, but has concluded that there are just so many abusive young men that it is difficult for young women nowadays not to meet and date at least one. “Recent research conducted in Texas reveals that over 50 percent of teens have either personally been or know someone who has been involved in dating violence,” she added. The meeting was held to help kick off the resumed efforts of the Rockwall County Coalition Against Family Violence, spearheaded by the Lillian Smith Family Violence Foundation. The non-profit organization is devoted to increasing public education, while promoting necessary changes in schools, governments, workplaces, churches and communities to reduce and prevent domestic violence, dating violence, sexual assaults and child abuse/neglect. Foundation founder and president J.J. Smith, a Rockwall resident and himself a survivor, introduced Pankz and told the audience after her presentation that the Foundation will commit to identifying, promoting and bringing together all of the resources across Rockwall County and other counties so that the various organizations involved will know what each other is doing in the battle against relationship violence. Comments were made by most everyone in attendance stating that they recognized the need to work more closely together and welcomed the Lillian Smith Foundation’s efforts to help. Included in the audience were Dr. Gene Burton, Superintendent of Rockwall ISD Schools; Sheri Fowler, RISD Director of Communications; Presbyterian Hospital’s Social Services Director Ruth Thomas and Chaplain Bob Reeves; Rockwall Co. Sheriff’s Dept. Detective Vickie Oldham; Women In Need Women’s Shelter Director Roger Robertson; Women In Need’s Rockwall client advocate Angie Glidewell; past president of the Rockwall Soroptimist’s Club Karen Straughan; community volunteer Marlyn Staggs; prominent Rockwall and Dallas “Superlawyer” and newspaper columnist John Browning; plus several Lillian Smith Foundation members. Another meeting will be scheduled within 2-3 weeks in the evening, Smith said, so that more people can hear Tanya Pankz speak about Dating Violence Dangers. Over 200 people have clicked on the website and blog stories, thus far, and dozens have expressed interest in attending her presentation during the evening. The mother of murdered 2001 Rockwall High School graduate Jennifer Pankz will speak about the dangers of dating violence, Sept. 10, 7:30-8:30 am, at Presbyterian Hospital of Rockwall, 3150 Horizon Rd. Tanya Pankz, the former branch manager of all three First Convenience Bank locations in Rockwall, is joining family violence survivor J.J. Smith and law enforcement officers to speak and help start organizing volunteers to join the Rockwall-based Lillian Smith Family Violence Foundation, which is spearheading the efforts of the new Rockwall County Coalition Against Family Violence. “Jen,” the daughter of Brian and Tanya Pankz of Rowlett, was found murdered Dec. 27, 2002, by a boy whom she had been dating at the University of North Texas (UNT), after she told him she didn’t want to continue dating anymore because she had just learned that he was taking steroids. For more information, contact J.J. Smith, either by phone at 214-256-4071 or email jj@rockwallrocks.com.